There are several buses serving Lucena City route. A lot of them have terminal stations in Cubao, particularly JAC Liner and Lucena Lines. Make sure that the sign-board says "LUCENA - GRAND TERMINAL". Bus fare is around 200 PHP. Estimated travel time is 3-4 hours. Upon arriving Lucena Grand Terminal, you need to ride the jeepney to Lucban, Quezon. Fare: 20-30 PHP. Travel Time: 20-30 minutes. You will be passing the towns of Alaminos (Laguna), San Pablo (Laguna), Tiaong (Quezon), Candelaria (Quezon), Sariaya (Quezon). Upon reaching the junction road, go straight to Tayabas, Quezon using the Tayabas-Sariaya Road. After getting to Tayabas, follow the Tayabas - Lucban Road. You will be passing Los Baños (Laguna). You will be passing the towns of Tiaong (Quezon), Candelaria (Quezon), Sariaya (Quezon). Take Manila East Road upon reaching Angono. You will be passing Rizal towns of Binangonan, Cardona, Morong, Baras, Tanay, Pililla, then Laguna towns of Siniloan, Pakil, Pagsanjan, Luisiana then Lucban. Or from Pagsanjan, you can follow the route thru Magdalena - Liliw - Majayjay then Lucban. 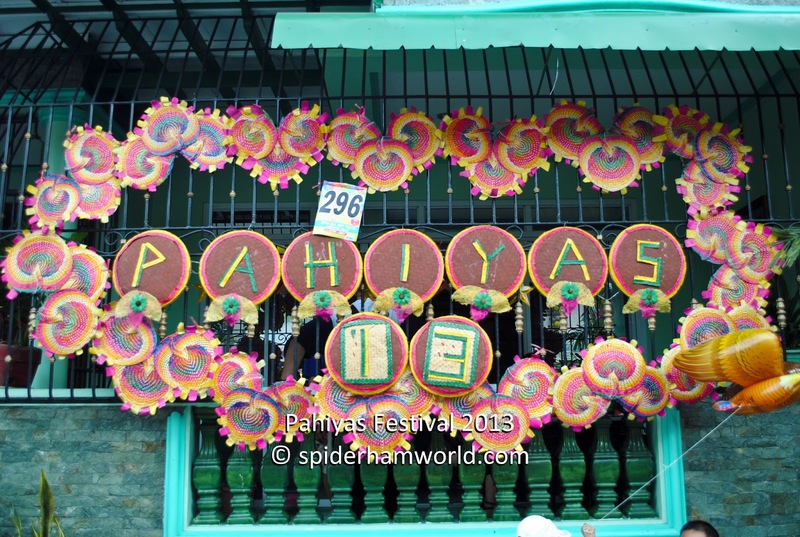 Once you have reached a town before Lucban, you will see a lot road signs leading to Pahiyas festival. A word of advice though, if you are planning to bring your own vehicle, plan your trip ahead and be there early. Due to the festival activities, vehicles will have trouble getting inside the town. Parking usually stretch 1-2 kilometers from the town proper, so prepare to walk your way inside Lucban proper. Is it on May15th every year？ When is the festival in 2015? Thanks!